It’s hot outside! And Menokin is the cool place to be kayaking out on Cat Point Creek! Our friends at USF&W loaned us their trailer to get all the new boats down to the creek. 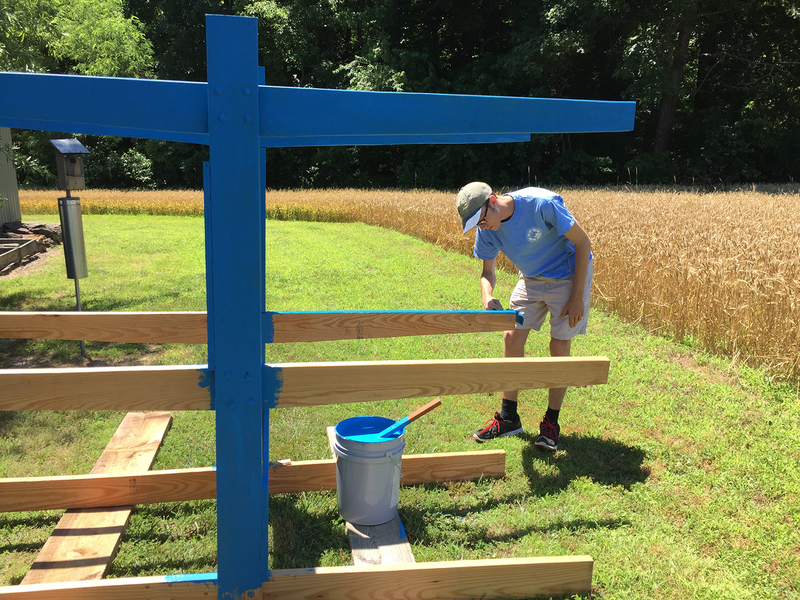 Silas, one of our summer interns, painted the rack and set up all of the boats. He’ll be ready to teach you how to paddle and assist your launch. Be sure to bring a hat and sunblock. Silas prepped and painted a rack to hold the boats at the waterfront. 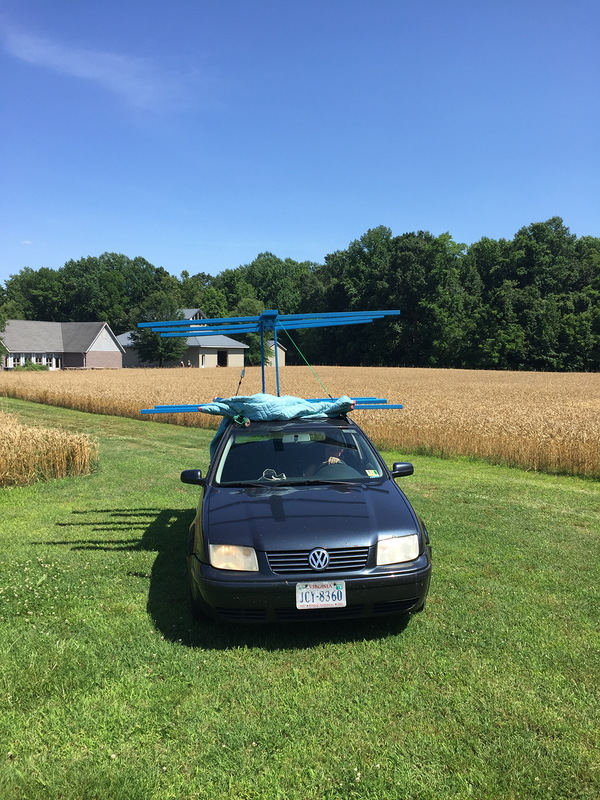 Alice turned her car into a modified flying machine while transporting the rack to the creek. Now it’s easy to learn how or just come explore. 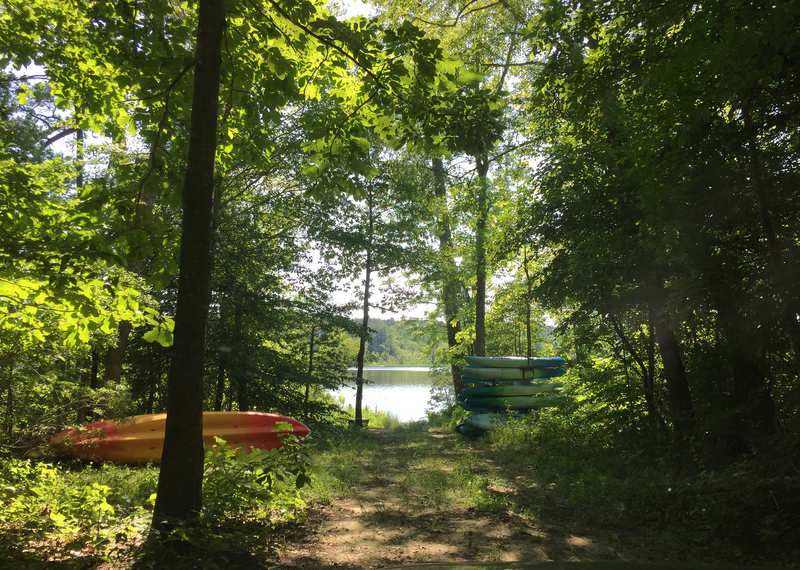 Free lessons are available Tuesdays and Thursdays from 10-12pm, just call or email Alice at 333-1776, afrench@menokin.org to reserve a boat. Come meet our new ACA trained kayak instructors Silas and Erin. Already know how to paddle a boat? Menokin has rentals available now, too! Sit-on-top singles rent for $10/2hours; or paddle together and save in a tandem (two-person) kayak for $15/2hours. 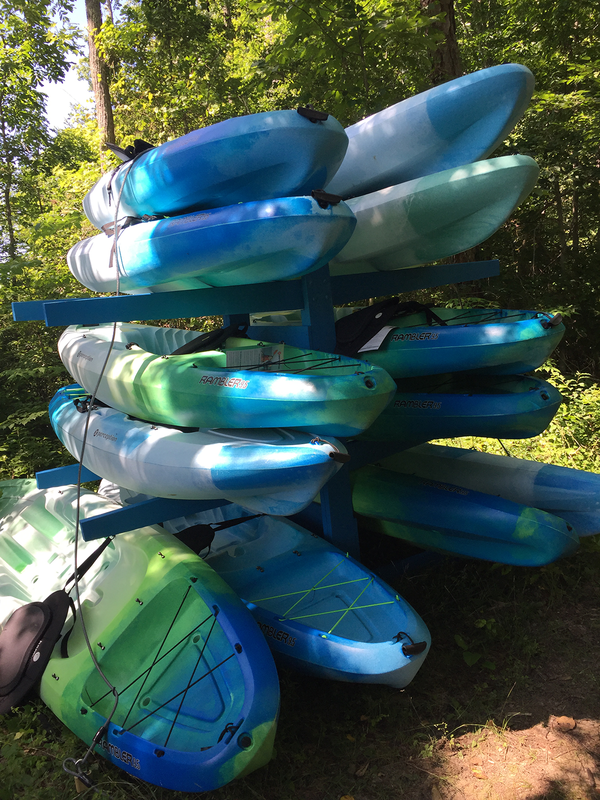 Rentals are available Tuesday through Saturday, 10am until 6pm, and include a US Coast Guard certified life jacket, paddle, and kayak. 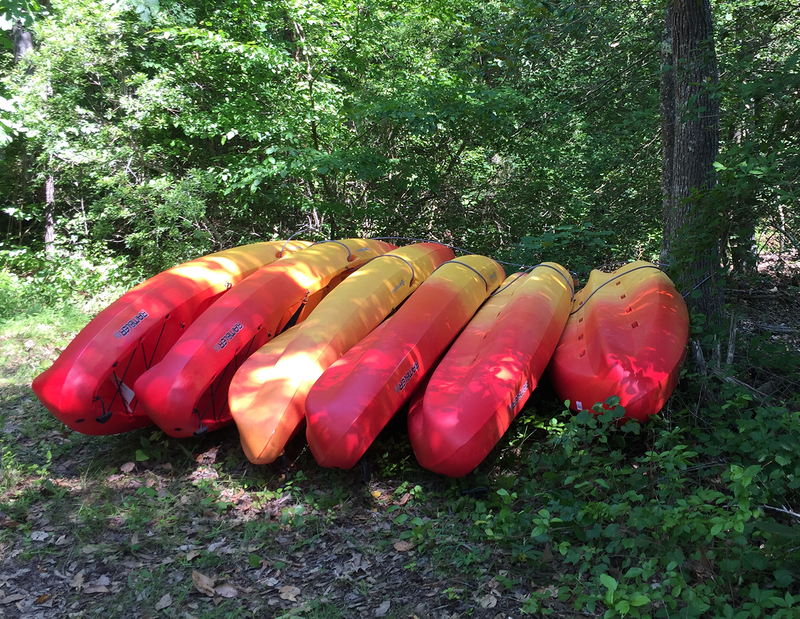 We have 12 single “sit on” kayaks available for rent for the nominal fee of $10/2 hours. Our six tandem “sit on” kayaks rent for $15/2 hours. Got your own paddle boat or board? You can come out anytime until 7pm, every day of the week and use our launch free of charge. Menokin is a Chesapeake Bay Gateway and also part of the Captain John Smith National Historic Trail. You can access the flat water of Cat Point Creek from our soft landing. 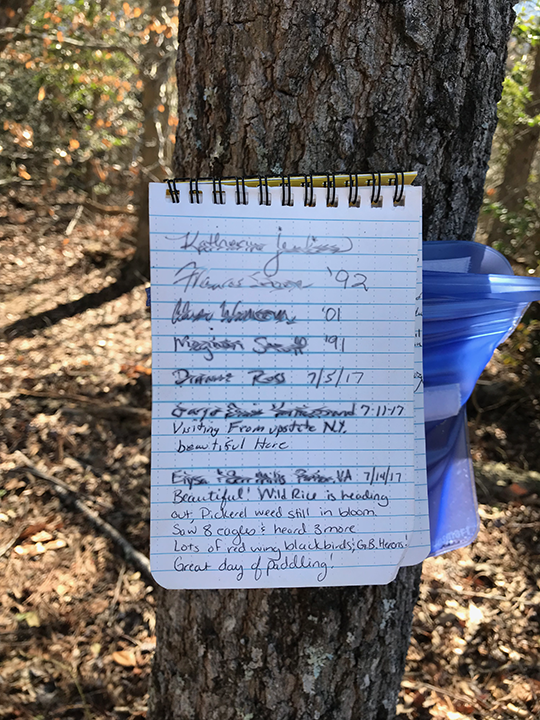 After your adventure, take a minute to add notes about your adventure in the waterproof log book we keep nailed to the tree. Our picturesque launch onto Menokin Bay, the widest section of Cat Point Creek. Leave a comment and tell us where you’re from. 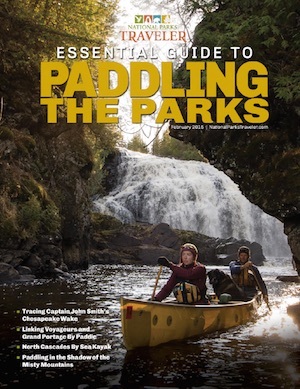 Download our printable paddle guide. Happy paddling!